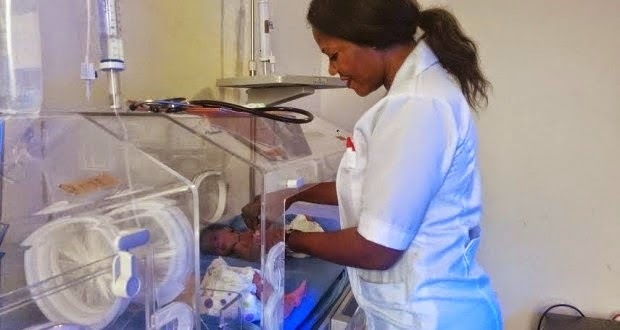 A 44-year- old woman, Clara Dominique, who had been childless for 18 years, was last Saturday delivered of quadruplets. The quadruplets are three girls and a male. They were delivered at the Graceland Medical Centre in Benin City, Edo State. According to TheNation, Mrs. Clara, who got married in 1996, said it was God’s grace that kept her and her husband through the trials of childlessness. She said they refused to keep friends because of the problem. “I am happy that my husband and I were able to stay together to this day to witness the blessings of the Lord. My husband has been encouraging me that God will do it for us. My husband never contemplated driving me away. have not seen somebody delivered four babies. It was not easy for me to carry the pregnancy. At a time the weight of the pregnancy was too much for me. I was the one dedicating children at our church every last Sunday of the month. I was the first to visit anybody that I knew that gave birth so that I can give them what I have. I am not the jealous type.